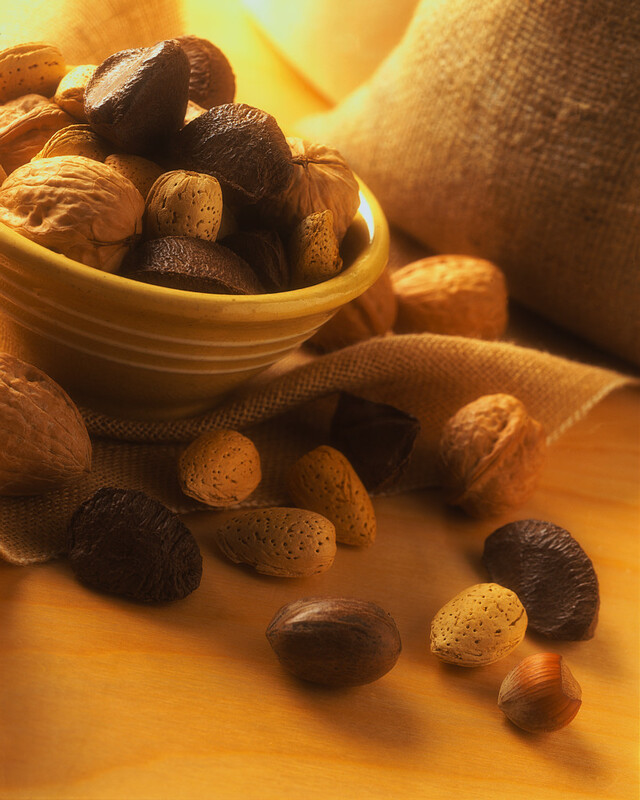 In a recent publication in the Journal of the American College of Nutrition, researchers highlight the health benefits of nut and tree nut consumption. 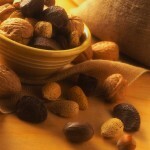 For purposes of the study, “nuts” referred to peanuts, peanut butter, tree nuts, or tree nut butter. Specifically “tree nuts” included almonds, Brazil nuts, cashews, hazelnuts, macadamias, pecans, pistachios, walnuts, and pine nuts. To be considered a consumer of nuts, at least ¼ ounce (7.09 grams) of nuts were consumed daily; non-consumers ate less the ¼ ounces per day. Subjects in the study included adults 19 years of age and older who participated in the National Health and Nutrition Examination Survey (NHANES) over a 6 year period of time. Nut consumption was found in approximately 19% of individuals between 19 to 50 years of age and 21% of those over 50 years of age; tree nut consumption was about 5½ and 8½ percent for the two age groups respectively. At this point, researchers are encouraged by the association between nut/tree nut consumption and, coupled with the known nutritional profile of nuts, suggest that nut consumption be recommended by health professionals and dietitians. SOURCE: O’Neil CE, Keast DR, Nicklas TA, Fulgoni VL. Nut consumption is associated with decreased health risk factors for cardiovascular disease and metabolic syndrome in U.S. adults: NHANES 1999-2004. Journal of the American College of Nutrition, 30(6):502-510, 2011. Dr. Bushman is a Professor at Missouri State University and is American College of Sports Medicine (ACSM) certified as a Program Director, Clinical Exercise Specialist, Health Fitness Specialist, and Personal Trainer. She is the editor of ACSM’s Complete Guide to Fitness & Health (Human Kinetics, 2011, http://www.humankinetics.com/products/all-products/acsms-complete-guide-to-fitness–health), a book focused on optimizing both exercise and nutrition to improve fitness and health for individuals of all ages. For more health and fitness related tips, join Dr. Bushman’s Fitness ID Facebook page (http://www.facebook.com/FitnessID) to discover, develop, evolve, and personalize your FITNESS ID. Dr. Bushman also is the lead author of ACSM’s Action Plan for Menopause (Human Kinetics, 2005, http://www.humankinetics.com/products/all-products/action-plan-for-menopause) and is the author of the “Wouldn’t You Like to Know” column in the ACSM’s Health and Fitness Journal.